Michael McDowell picked up the 9th last-place finish of his NASCAR Sprint Cup Series career in Sunday’s Auto Club 400 at the Auto Club Speedway of Southern California (Fontana) when his unsponsored #66 HP Racing LLC Toyota fell out with an electrical problem after completing 32 of the race’s 200 laps. McDowell qualified 33rd for Sunday’s race at a speed of 180.605 mph and was the fastest of the “go-or-go-homers” in Happy Hour, 31st overall. Early in the race itself, it first appeared Tony Raines would finish 43rd when the engine on his unsponsored #37 caught fire six laps into the race. Repairs were made, however, and he returned to the track to ultimately finish 10 laps down in 36th. Next, Todd Bodine, making his first start for Germain Racing’s #60 team since the Gatorade Duels, went behind the wall after he lost a lap on Lap 18. Bodine was followed quickly by Joe Nemechek’s #87 on Lap 29 and McDowell on Lap 33. This allowed Bodine to take 43rd from Tony Raines. Though this put McDowell in 41st, first Nemechek and then Bodine also returned to the track just long enough to shuffle McDowell to 43rd by the time the first caution waved for debris on Lap 74. Radio communications confirmed that HP Racing LLC did not intend to have McDowell follow Nemechek and Bodine back onto the track. On Lap 44, the #66 crew acknowledged their car would be NASCAR’s random selection for post-race inspection. Around Lap 54, the crew also discovered a hole in the radiator of their Toyota which had gone undetected up to that point. HP Racing LLC entered 2011 with plans of running a part-time season. With the fifth race of the season completed and the #66 now ranked 44th in Owner Points, 58 markers outside the Top 35, there is no indication as of this writing which races the team may skip. *This is the second-straight last-place finish at Fontana by the #66 HP Racing LLC / PRISM Motorsports team. Jason Leffler finished 43rd for PRISM in last fall’s Pepsi Max 400 due to electrical problems after 23 laps. It is also McDowell’s first last-place finish at Fontana. *The finish ends a streak of six different last-place finishers in the last six points races, extending back to Brendan Gaughan’s 43rd-place run in last fall’s Kobalt Tools 500 at Phoenix. Gaughan’s finish was followed by Mike Bliss, J.J. Yeley, Joe Nemechek, Landon Cassill, and finally McDowell’s run last week Bristol. On Lap 35, soon after McDowell retired, J.J. Yeley stayed out to lead two laps in Dusty Whitney’s #46 Red Line Oil Chevrolet, then went behind the wall when he ran out of fuel. Soon after, his radio traffic indicated they knew Bodine and Nemechek would return to the track, so Yeley returned as well. A second trip to the garage prevented Yeley stopped him three laps short of outlasting Bodine, who retired on Lap 94, but he still held off Nemechek for 41st. Mike Harmon picked up the 11th last-place finish of his NASCAR Nationwide Series career in Saturday’s Royal Purple 300 at the Auto Club Speedway of Southern California (Fontana) when his #74 Riverwalk Café Chevrolet fell out with a vibration after 3 of the race’s 150 laps. He now ties Morgan Shepherd for the fifth-most last-place finishes in the Nationwide Series. Harmon brought his own Chevrolet to Fontana and qualified it 39th for Saturday’s race at a speed of 159.391 mph. Not only was it the 53-year-old driver’s first start of the season, but also his first as an owner since 2009. In the race itself, Harmon pulled behind the wall three laps in, following Faith Motorsports’ Brett Rowe on the same lap. *Harmon had not finished last in a Nationwide Series race since 2009, when his #07 PMC Life Chevrolet fell out with brake problems 6 laps into the 2009 U.S. Cellular 250 at Iowa. Harmon is best known for his horrifying wreck during practice for the 2002 Food City 250 at Bristol when his #44 Race-Ready Communications Chevrolet struck an unsecured crossover gate at the exit of turn two. Harmon survived the wreck unscathed and owner Gregg Mixon acquired a backup car from Larry Gunselman. Harmon fell out of that Bristol race after two laps, picking up the third last-place finish of his Nationwide Series career. 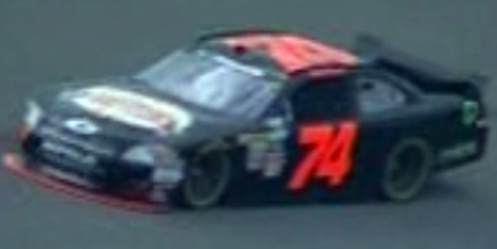 *The #74 had not finished last in a Nationwide Series race since 2004, when Tony Raines’ Outdoor Channel Chevrolet fell out in a three-car crash after the opening lap of the 2004 O’Reilly 300 at Texas. The number had never before finished last in a Nationwide race at Fontana. *A Nationwide Series driver had not finished last at in a race at Fontana due to vibration problems since 2009, when Derrike Cope’s #41 Rick Ware Racing Chevrolet fell out three laps into the 2009 Stater Brothers 300 at Fontana. Jennifer Jo Cobb, who nearly finished last under some controversy at Bristol last week, drove Ware’s #41 to a 38th-place finish in this year’s race. Kelly Bires and Justin Marks were not entered into Saturday’s race, nor did owner Ed Rensi enter the #25 in which Bires finished last with two times this season. Kevin Conway finished 22nd driving owner Joe Nemechek’s #87 he last raced at Las Vegas. Michael McDowell picked up the 8th last-place finish of his NASCAR Sprint Cup career in Sunday’s Jeff Byrd 500 at the Bristol Motor Speedway when his unsponsored #66 HP Racing LLC Toyota fell out with brake problems after completing 35 of the race’s 500 laps. 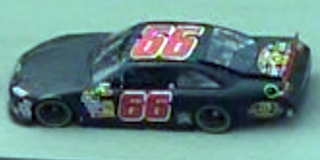 Formerly known as PRISM Motorsports, the #66 team, owned by Phil Parsons and Randy Humphrey, downsized into a single-car part-time team over the off-season. So far, the team has attempted all of the season’s first four races with 2010 driver Michael McDowell as its driver. Although an engine failure in the Gatorade Duels prevented McDowell from racing the car into his 2nd straight Daytona 500, driver and team have made all three races since. McDowell qualified 39th for Sunday’s race at a speed of 123.994 mph. In the opening stages of the race, Dennis Setzer, making his first Cup start since Martinsville in the fall of 1998, was the first to fall to 43rd and the first to be lapped. Following a multi-car accident on Lap 27, Brian Vickers sustained the most serious damage of those involved and fell to last place during 51 laps of repairs behind the wall. Although FOX indicated that McDowell was set to run the whole race at Bristol, he was behind the wall by the time Vickers returned to the track, followed by Landon Cassill and Joe Nemechek, the two drivers who scored the two most recent last-place finishes in Cup at Phoenix and Las Vegas. Though all three listed brake failure as the reason they fell out, the FOX commentators also reported McDowell’s engine sounding sick before he pulled out of the race. 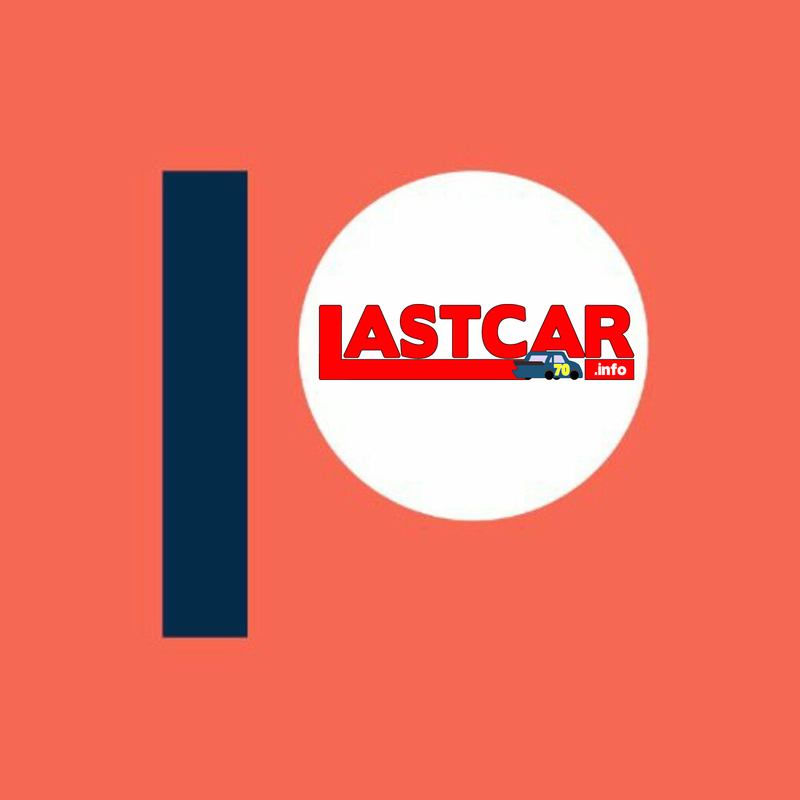 Over the radio on Lap 44, just prior to his exit, Landon Cassill also suggested putting all the brake blowers on his #60 at Martinsville, saying it would best prepare the team to run a full race sometime down the road. He acknowledged, however, that the team will still “start-and-park” at Martinsville, absent a change in circumstances. *This is McDowell’s second-straight last-place finish at Bristol, both of which coming while he drove for HP Racing LLC / PRISM Motorsports. McDowell ran PRISM’s now-defunct #55 team to a 43rd-place run 16 laps into last August’s Irwin Tools Night Race. *This is HP Racing LLC / PRISM Motorsports’ fourth last-place finish in the last five Cup races at Bristol, joining Dave Blaney’s sweep of both 2009 races in the #66 and McDowell’s run in the #55 last August. *A Cup driver had not finished last at Bristol due to brake problems since 2004, when Andy Hillenburg’s Stan Hover-owned #80 Commercial Truck & Trailer Ford fell out 4 laps into the 2004 Food City 500. Like Cassill and Nemechek, Daytona 500 last-placer J.J. Yeley fell out of Sunday’s race with brake failure after 97 laps, leaving him 40th. Though still without primary sponsorship, Yeley’s team found speed earlier in the week. His #46 was fastest among the “go-or-go-homers” in the opening practice and in Happy Hour, where he was 15th overall. 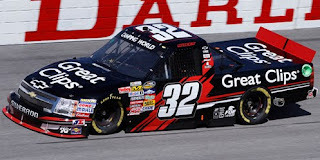 Brad Sweet picked up the 1st last-place finish of his NASCAR Camping World Truck Series career in Saturday night’s Too Tough To Tame 200 at the Darlington Raceway when his #32 Great Clips Chevrolet was involved in a single-truck accident after 13 of the race’s 147 laps. The finish came in Sweet’s 13th series start. Sweet came into Darlington on the heels of a solid 11th-place finish at Phoenix, his second-best finish in the Truck Series to an 8th at O’Reilly Raceway Park the previous summer. Driving for the newly-reorganized Turner Motorsports team, which scored a surprising Nationwide Series win with Mark Martin at Las Vegas the week before, Sweet arrived at Darlington 11th in the Truck Series standings. Sweet qualified 21st at a speed of 169.836 mph, but like Kvapil at Phoenix, was sent to the rear due to unapproved post-qualifying adjustments to his truck. Although a quick move to the apron kept him from being involved in a grinding seven-truck accident on the opening lap, he was not so fortunate on Lap 14 when his truck slammed into the Turn 3 wall. 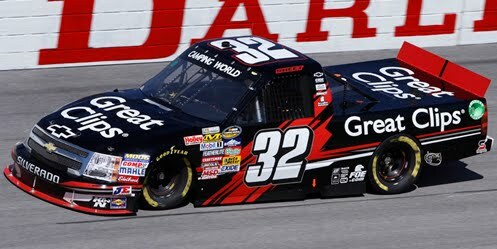 The damage to Sweet’s truck was enough to knock him out of the race, dropping him to 36th in the final running order after all seven trucks involved in the Lap 1 melee returned to the track. *The #32 had not finished last in a Truck Series race since 2001, when Jerry Miller’s Miller Brothers / Siebert Service Dodge lost its engine after the opening lap of the 2001 Chevy Silverado 200 at Nazareth, the last Truck race held at that track. 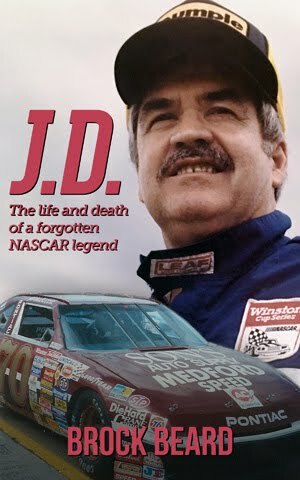 The #32 has never before finished last in a Truck race at Darlington. Phoenix last-place finisher Travis Kvapil was involved in the opening-lap crash, but avoided significant damage and recovered to finish on the lead lap in 17th. Daytona last-place finisher Norm Benning received the Lucky Dog when Sweet crashed on Lap 14, then finished four laps down in 26th. 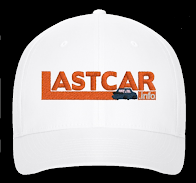 Landon Cassill picked up the 2nd last-place finish of his NASCAR Sprint Cup career in Sunday’s Kobalt Tools 400 at the Las Vegas Motor Speedway when his #60 Big Red Toyota fell out with rear gear problems after completing 34 of the race’s 267 laps. Cassill’s qualifying prowess, practiced constantly through iRacing simulations, secured him his first 16 Sprint Cup starts last year for Phoenix Racing, Larry Gunselman Racing, and TRG Motorsports with a best finish of 33rd at Richmond last fall. This year, Cassill drives for Germain Racing’s new second team, joining Casey Mears’ #13 GEICO Toyota. 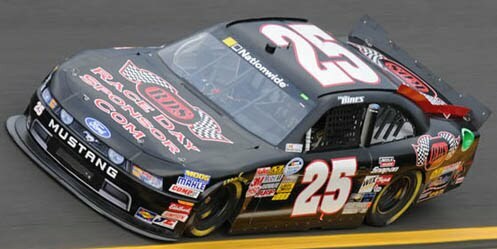 After the new #60 team missed the Daytona 500 when then-driver Todd Bodine was swept up in a late-race crash in the Gatorade Duels, Cassill overcame an engine failure in practice to make the race at Phoenix, then qualified 36th for the Las Vegas race at a speed of 182.070 mph. 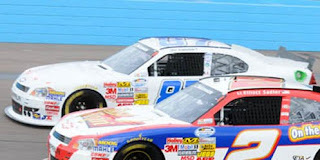 However, although the #60 team has secured sponsorship from Big Red and All-Sport, once the sponsors for Jeremy Mayfield’s owner-driver operation in 2009, the team has not yet completed a full race. At Phoenix, Cassill was forced behind the wall after 68 laps with brake failure. 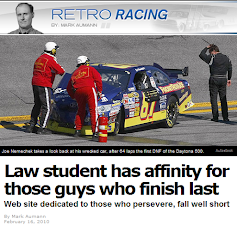 This week, the 21-year-old driver was behind the wall after 34 laps with rear gear failure. With two races left until the 2011 Owner Points set the 35 drivers locked-into each week’s race, the #60 team currently sits 43rd in points, 38 markers behind 35th, currently held by his teammate Mears. *The #60 had not finished last in a Cup race since 2004, when Jason Leffler’s Haas Automation Chevrolet crashed 3 laps into the 2004 Brickyard 400 at Indianapolis. *The #60 had never before finished last in a Cup race at Las Vegas. *Cassill joins Tony Stewart (2008) as the only two Toyota drivers to finish last in a Cup race at Las Vegas. *No Cup driver had ever before finished last with a rear gear failure at Las Vegas. Michael McDowell and last week’s last-place finisher Joe Nemechek were the first to actually go behind the wall during Sunday’s race at Las Vegas, but both returned to the track after Cassill retired to complete a handful more laps, moving them up to 41st and 42nd. One day after NEMCO’s Nationwide team finished last with Kevin Conway, the two laps Nemechek completed narrowly averted a rare weekend sweep. The last time a team (and driver) finished last in both a Cup and Nationwide Series race in the same weekend was in the fall of 2009, when Dave Blaney pulled it off at Atlanta. At the time, both Blaney’s #66 PRISM Motorsports Toyota and #91 MSRP Motorsports Chevrolet were owned by Phil Parsons. Kevin Conway picked up the 3rd last-place finish of his NASCAR Nationwide Series career in Saturday’s Sam’s Town 300 at the Las Vegas Motor Speedway when his unsponsored #87 NEMCO Motorsports Chevrolet fell out with overheating problems after completing 2 of the race’s 200 laps. The Vegas weekend proved difficult for the NEMCO’s Nationwide Series team. Team owner Joe Nemechek wrecked his #87 in practice, sending his crew scrambling to get the backup car ready for the next day’s race. Conway, who was then driving the team’s second car, #97, also struggled in practice, and he called upon Nemechek to take a turn practicing the #97 while the backup #87 was prepared. With the benefit of this additional track time, the decision was made to have Nemechek drive Conway’s car in the race while Conway would turn a few laps, then park the backup #87. Unfortunately, inspection procedures prohibited Nemechek from switching car numbers, and Conway’s run would thus count against the #87's ranking in Owner Points. Conway did not take a lap in qualifying and relied on the #87 team’s Owner Points to make the show. With the late addition of Charles Lewandoski’s #03, a backup Robert Richardson-owned Dodge, all 43 cars who entered the race made the show. Lewandoski’s car was such a late arrival to the race that, in Friday’s practice, only the door numbers were changed from “23” to “03” and Richardson’s name was still on the roof. In the race itself, Conway and defending LASTCAR Nationwide Driver’s Champion Jeff Green followed each other to the garage after two laps. Lewandoski followed four laps later during the first caution period of the race. Nemechek’s run in the #97 netted him a 23rd-place finish, one spot behind Robert Richardson, Jr. in his primary #23. *All three of Conway’s last-place finishes have come in the Nationwide Series. The first came in the 2006 Sharpie Mini 300 at Bristol, where his Scott Glynn-owned #58 Dodge was involved in a crash on Lap 6. His most recent finish came the next year at Richmond, where his Joe Gibbs-owned #18 Z-Line Designs / Circuit City Chevrolet crashed 36 laps into the 2007 Emerson Radio 250. *NEMCO’s flagship #87 had not finished last in a Nationwide Series race since 2003, when none other than Kyle Busch’s Chevrolet lost an engine 2 laps into the 2003 Aaron’s 312 at Atlanta after qualifying 9th. It was the first and, so far, only last-place finish Busch has scored in 205 Nationwide Series starts. *NEMCO’s Nationwide team has not finished last at Las Vegas since 2004, when Jeff Fuller’s #88 overheated 34 laps into the 2004 Sam’s Town 300, scene of the second of Fuller’s record-setting 11 last-place finishes he scored that season. Kelly Bires finished outside the Bottom Five in the 35th spot while Justin Marks was replaced by Daytona 500 last-placer J.J. Yeley in Baker-Curb’s #27. Yeley finished one spot in front of Bires in 34th.